Operation IceBridge, NASA's longest-running aerial survey of polar ice, flew over the northern Antarctic Peninsula on Oct. 16, 2018. During the survey, designed to assess changes in the ice height of several glaciers draining into the Larsen A, B and C embayments, IceBridge senior support scientist Jeremy Harbeck spotted a very sharp-angled, tabular iceberg floating among sea ice just off of the Larsen C ice shelf. A photo of the iceberg (seen at right) was widely shared after it was posted on social media. "I thought it was pretty interesting; I often see icebergs with relatively straight edges, but I've not really seen one before with two corners at such right angles like this one had," Harbeck said. 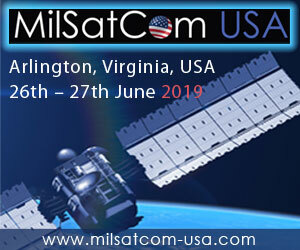 The rectangular iceberg appeared to be freshly calved from Larsen C, which in July 2017 released the massive A68 iceberg, a chunk of ice about the size of the state of Delaware. 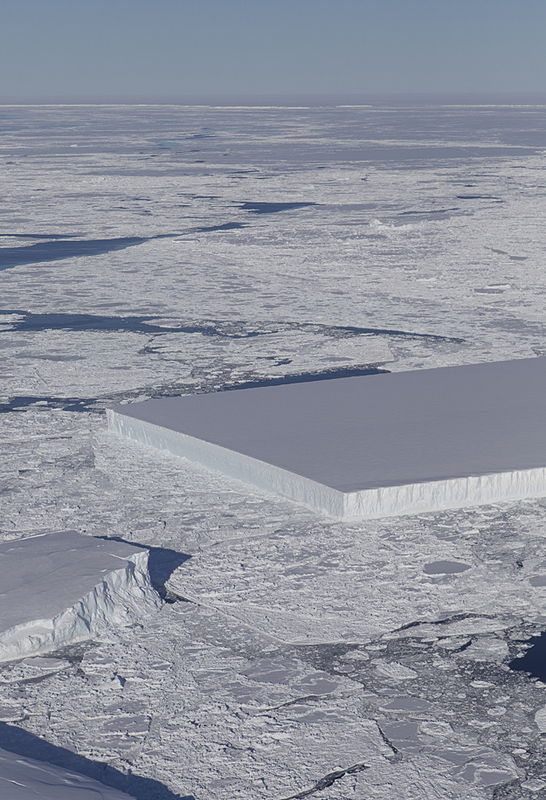 In a different photo (above), Harbeck captured both the edge of the now-famous iceberg, and a slightly less rectangular iceberg. That image also captures A68 in the distance. 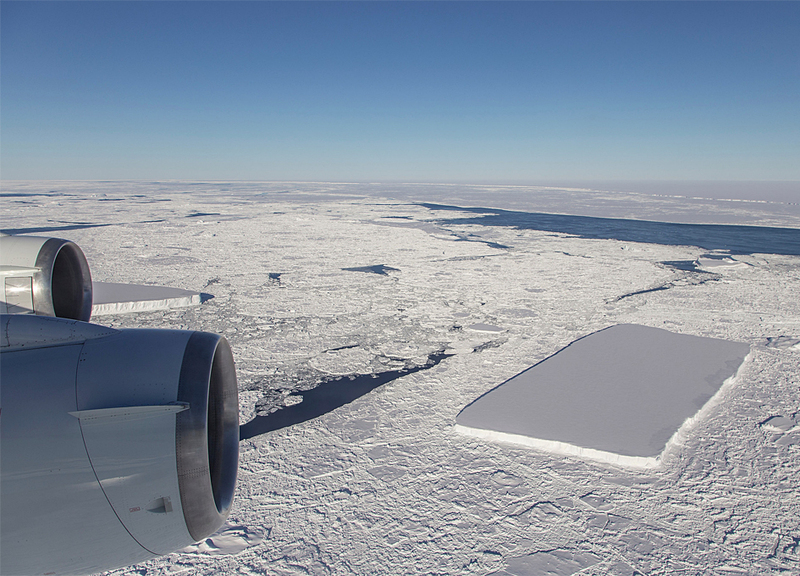 "I was actually more interested in capturing the A68 iceberg that we were about to fly over, but I thought this rectangular iceberg was visually interesting and fairly photogenic, so on a lark, I just took a couple photos," Harbeck said. The flight originated from Punta Arenas, Chile, as part of a five-week-long IceBridge deployment, which began Oct. 10 and is scheduled to conclude Nov. 18.